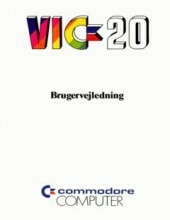 Thanks again to Uffe Jakobsen, the VIC 20 usermanual in Danish is added. This entry was posted in Computers by Carsten Jensen. Bookmark the permalink.